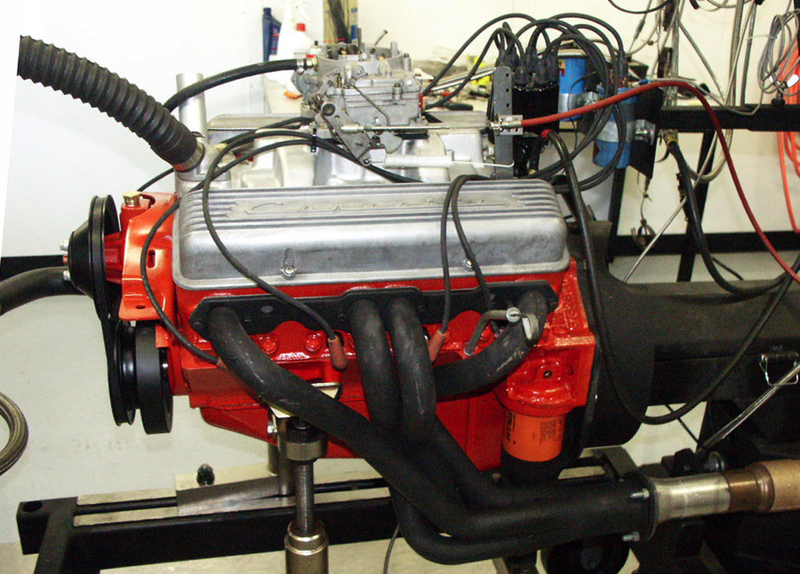 The plan with this Corvette engine was to test the original "300-hp" (see the before graph) engine on the dyno and then make it a real 300-hp engine. The challenge was to keep the appearance as original as possible, with the exception of the headers. Additionally the cylinder heads needed to stay cast iron which limited the compression ratio to 9.5:1. An appropriate camshaft was chosen that lifted the torque curve without losing low-end torque. 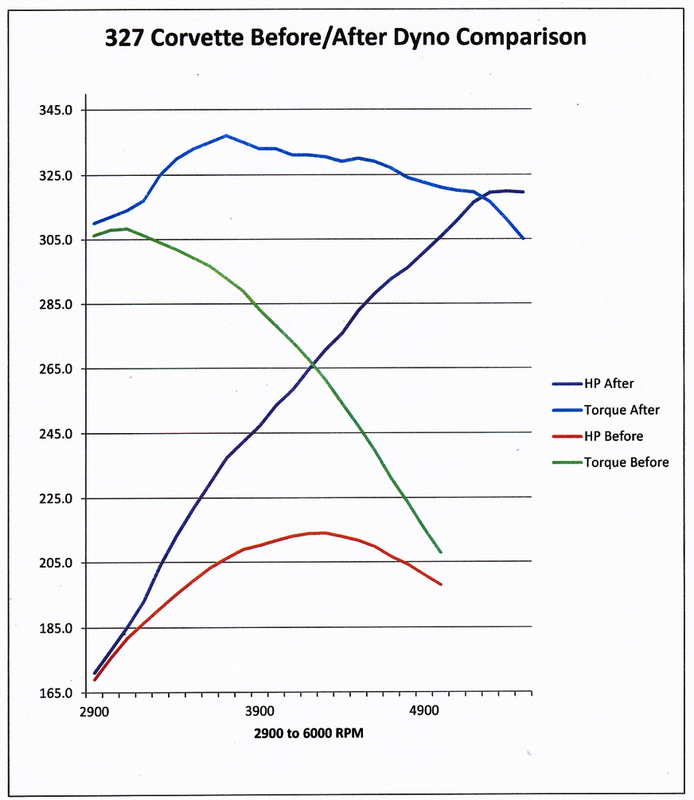 During the dyno tuning the AFB carburetor was re-jetted and the ignition curve refined. The result was a very strong engine. The owner was very impressed and noted that "it has more power than chassis now!"